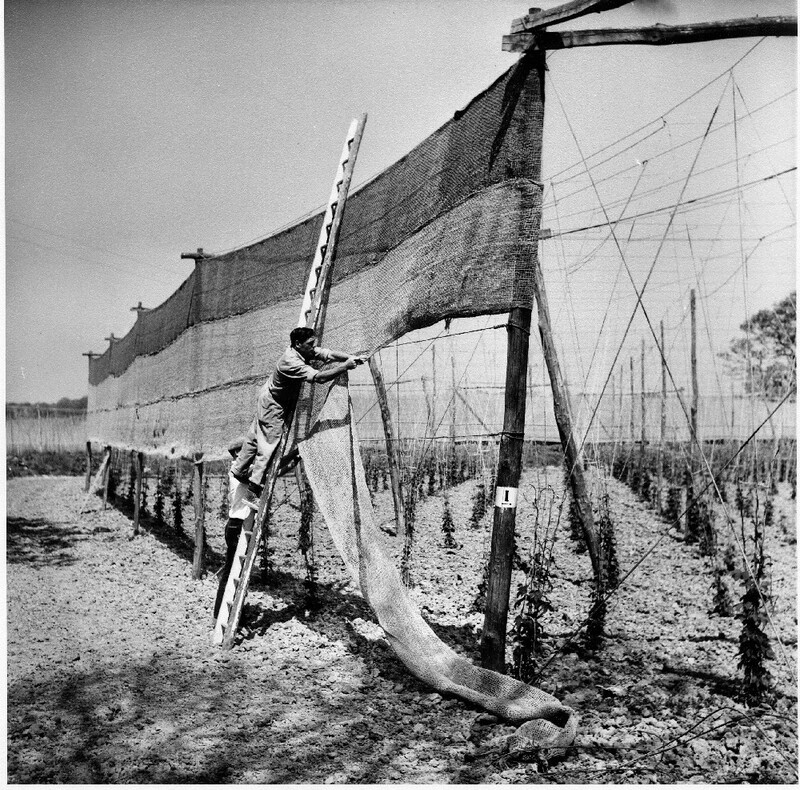 The photos here depict a series of different jobs carried out on the hop farm during the summertime. 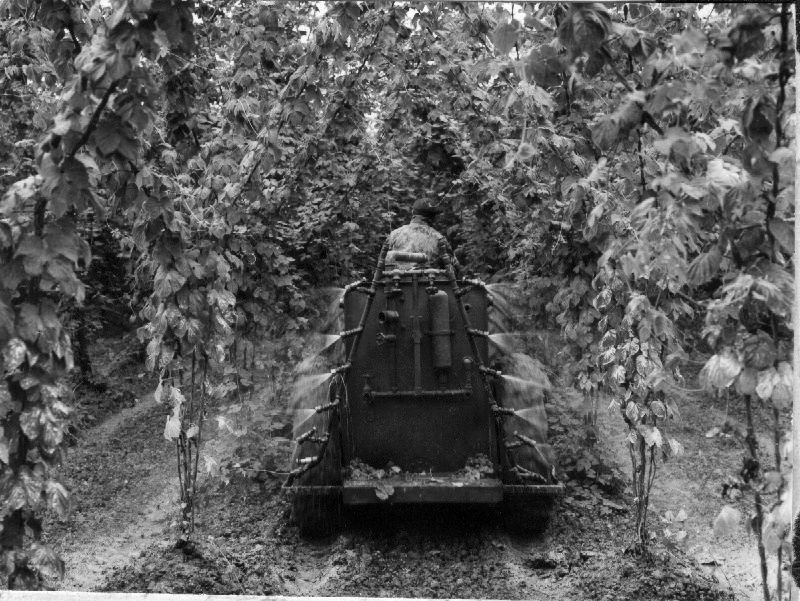 Chemical defoliants were applied to remove the lower leaves of the hop plant. 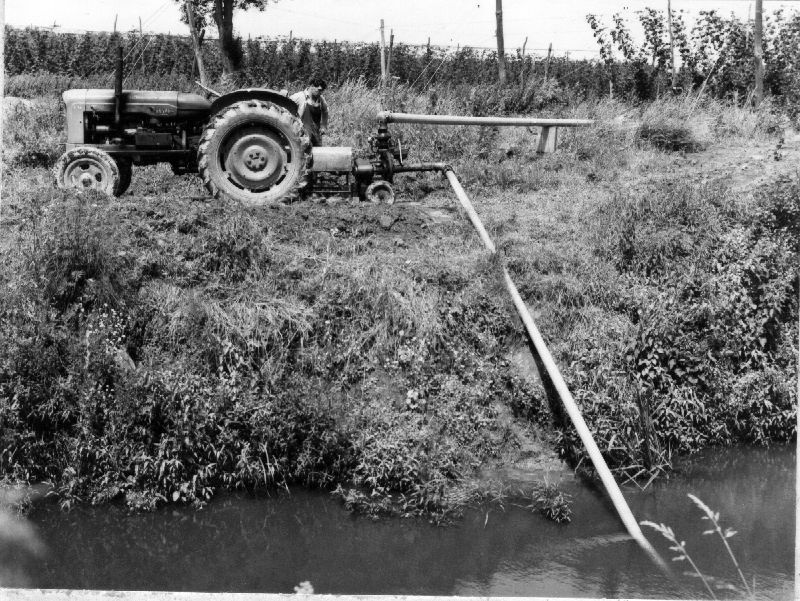 I'm not sure why, now I am writing this, but think it may have something to do with air circulation. Can anyone help me with an explanation? 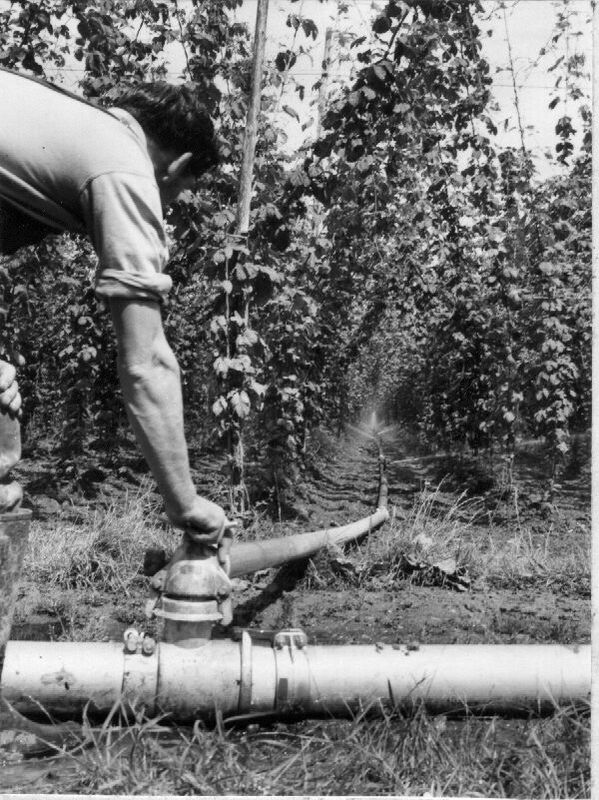 Spraying the hops with various chemicals was a regular chore during the summer months. 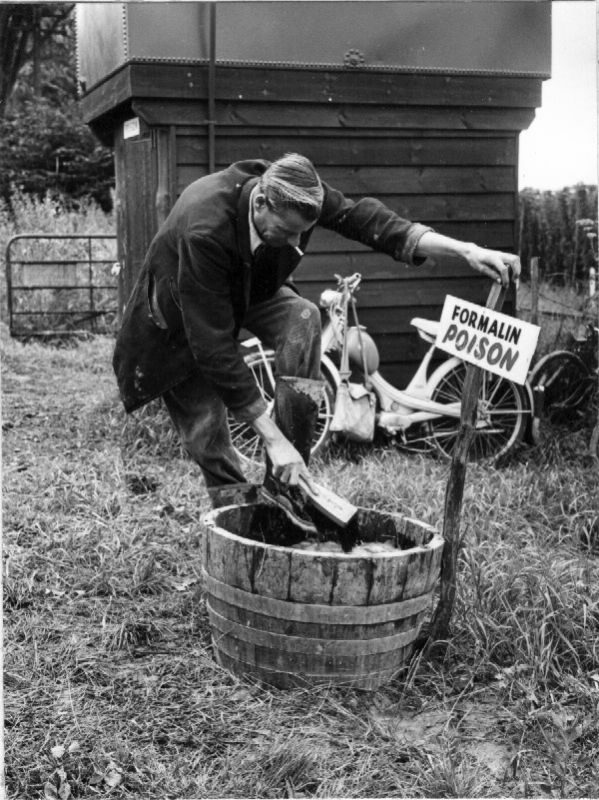 I'm not sure what the chemicals were but they were probaly quite nasty by todays standards. 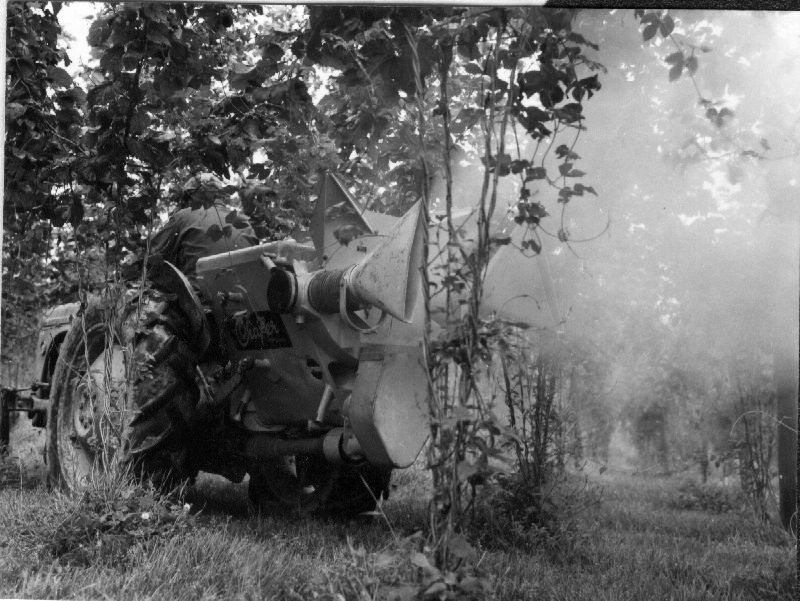 They were to combat various "bugs" and mildews. 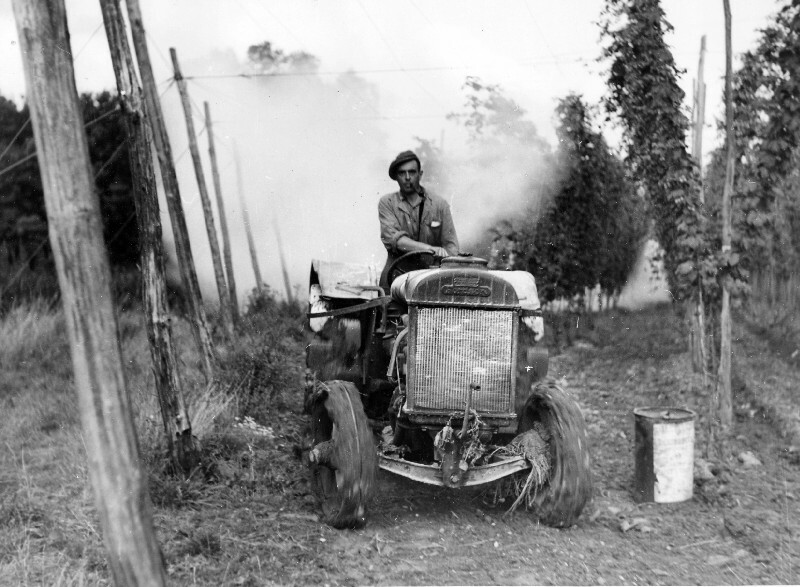 I think this is Henry Brimm on the tractor. 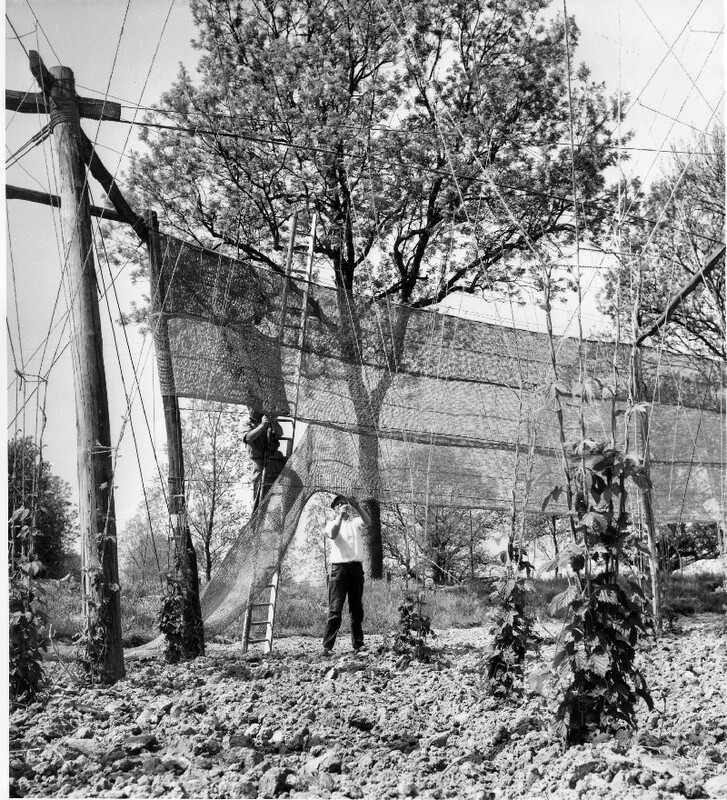 This photo (and the following one) shows Bill Dawson and Geoff Luck putting up the lewing around the hop garden. [note the number 1 on the pole. 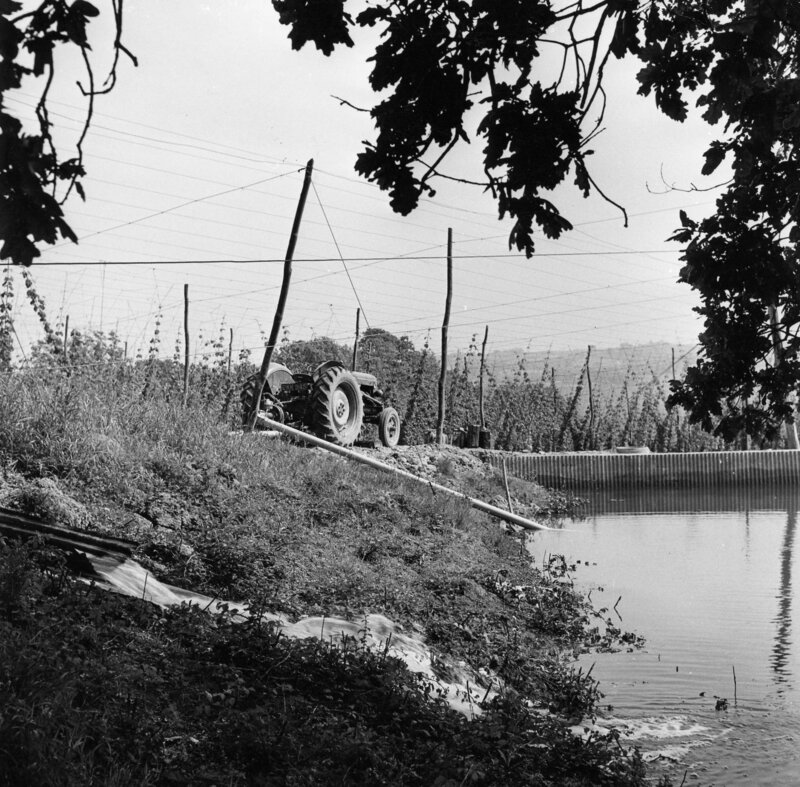 This was to indicate where the first cant started - a cant was a division of a hop garden containing about 1000 hills. 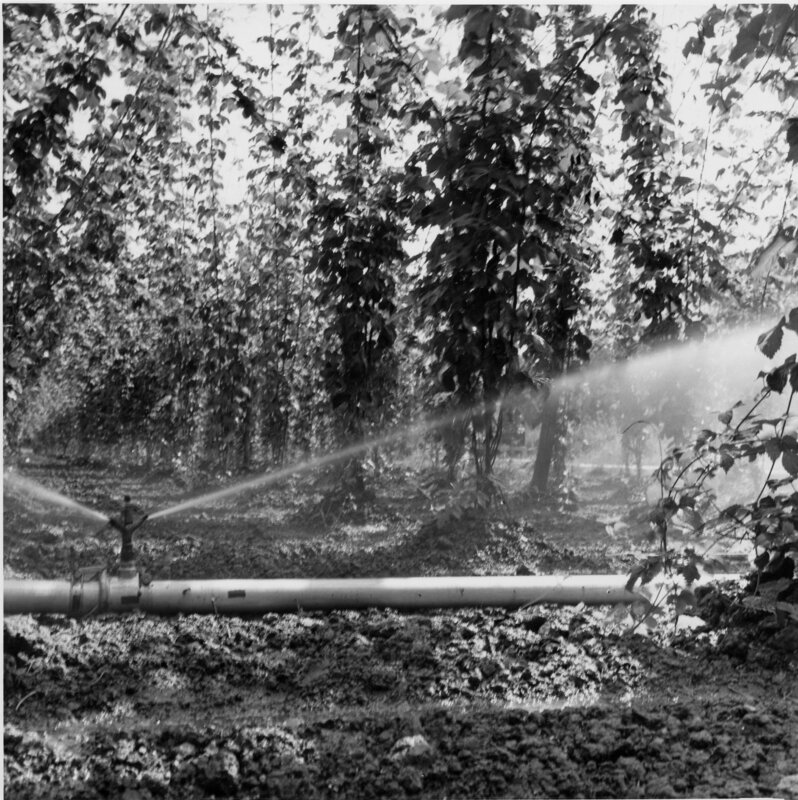 A sprinkler in the hop garden.